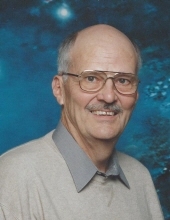 Roy W. Morrow, 76, of Tellico Village passed away suddenly Thursday, April 4, 2019 at UT Medical Center. His passion was astronomy and was fondly known as "The Astronomer for Tellico Village". He established the local Tellico Sky Watchers club and was also a member of the Oak Ridge Astronomy Club, ORION and the Knoxville Observers. In addition to spending time in his observatory in Tellico Village, he especially loved the time he spent with friends at his house and beloved observatory in the Arizona Sky Village. Astronomy was his delight since grammar school but later his interests also included geology and "rock hounding". Roy graduated from Hopkinsville, KY high school, Murray State University, Murray, KY with BS degrees in chemistry, physics and math. He also received his PhD in Chemistry from University of Tennessee Knoxville. He retired from Lockheed Martin Energy Systems after 31 years serving as a development chemist, group leader and laboratory department manager. His career focused on nuclear and environmental materials analyses supporting nuclear weapons production at the Y-12 National Security Complex and uranium enrichment at the K-25 Gaseous Diffusion Plant both in Oak Ridge, TN. Roy established the analytical laboratory supporting the DOE National Uranium Resource Evaluation Program. Dr. Morrow was a member of the ASTM Committee C26 on Nuclear Fuel Cycle for 15 years chairing the subcommittee which established the standard analytical methods used worldwide to analyze nuclear fuels and related materials. He was an ASTM Society Fellow. He had a life well lived and now is enjoying the stars from another perspective. Visitors are welcome to www.RoyMorrow.com	to enjoy some of his astrophotography and photos of his life. You may also register to be kept informed on the details of a celebration of his life star party to be held in the future. In lieu of flowers, memorials may be made to a fund being established in his name to further astronomy outreach in this area. Details will be posted on his website. To send flowers or a remembrance gift to the family of Roy W. Morrow, please visit our Tribute Store. "Email Address" would like to share the life celebration of Roy W. Morrow. Click on the "link" to go to share a favorite memory or leave a condolence message for the family.